Debra here with another incredible book blogger. Ready? Okay, here we go. If you don't already, you are going to adore this woman! Rachel, how long have you been reviewing and how did you decide on the theme for your blog? Rachel replies…I have been reviewing/blogging for a little over 3 years now. When I started…I knew NOTHING and knew NO ONE. I had learned through a friend that I can get books if I read and review them. So I jumped in! Lots of trial and error that’s for sure. And it wasn’t until I got connected with other bloggers (specifically Annie on Just Commonly and Carrie on Reading is my SuperPower) that things really started coming together. D- What’s the best part of being a reviewer? R- The bookish community. Connecting with other bloggers, authors, publishers…has been an absolute joy. We were hermits (not by choice…but because of medical reasons for my son…he is fine now) for a couple of years and this community was the reason I stayed sane. They were always there to pray with, encourage, and have a laugh with. D- What’s the most difficult part of the ‘the job’? R- Reading books that aren’t new releases. 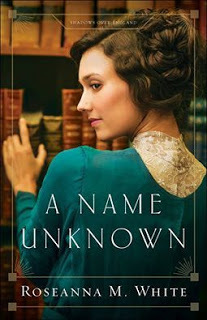 I will discover a new-to-me author (like when I discovered Jen Turano and Jody Hedlund back in 2015) and then want to binge read all their books, but have no time to read the already published books. D- Binge-reading is a wonderful thing for the average reader but not when you read ‘on demand’!! What was the last book you read that you couldn’t put down? R- I would have to go with A Name Unknown by Roseanna M. White. 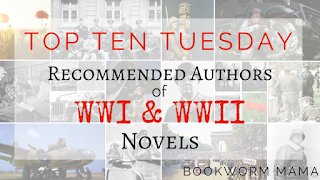 Set during the beginning of WWI and the hero himself is bookish and oh so swoony! D- I’m so far behind on Roseanna’s books but I hate to skip any! What keeps you busy or entertained (beyond reading and reviewing)? R- Currently, homeschooling my Kindergartner. I was homeschooled my whole life, but have never been on this side of the spectrum before. It is an adventure that is for sure. My husband and I also are a part of the worship ministry at our church. When I have time, I am a D-I-Y Pinterest crafter addict. I make a lot of home décor and crafts. D- I can’t imagine what kind of trouble I would have gotten into if there had been pinterest when I was a young mother. I did enough crafting and sewing without it! "making stuff" is just too much fun. I love your flag! A 'crafty Rachel' Project-- a last minute Fourth of July decoration! D- What is your favorite fiction setting? Place and time? Genre’? R- You’re killing me Smalls! 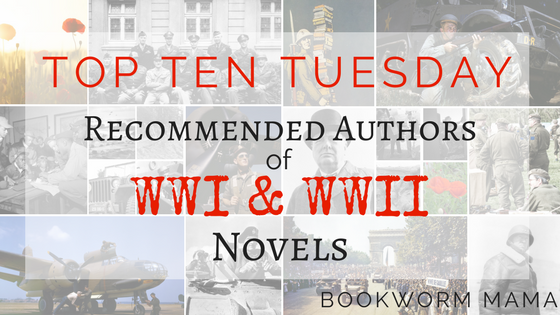 Um, I have to say England, WWI – WWII, Historical Romance is probably on the top of my list. D- (insert cruel laughter) That is like asking me my favorite movie or food… Yes, very difficult. Sorry/notSorry! R- Oooooh! Right now, Walking With the Enemy is at the top of my to-be-watched list. We don’t have a lot of delivery options in town, but my favorite is our Thai restaurant. And dessert would be apple pie OR double chocolate fudge ice cream WITH chocolate and caramel syrup…depending on the mood. D- Delivery is not an problem! I can have it flown in if you’d like. I love Thai too. (Everything but aubergines. Though I love that word.) And because life is stressful, there is no need to choose between two desserts! In fact, I'm thinking Jonas Armstrong agrees. If you could wiggle your nose and be in a new career, what would it be? R- Something bookish. Editing, cover design, that sort of thing. D-Well, gosh, I could have told you that! What piece of advice would you offer reviewers who are just starting out? R- Don’t compare yourself to other blogger/reviewers with how many followers they have or pageviews, or even how many books they read in a week. You need to do what works for YOU. Find your own style through trial and error if necessary and let your personality shine through on the page. Learn from others and be open to adapting to new systems as they come out. But in the end BE YOURSELF! D- Thanks so much for putting up with my nosy questions, and hanging out with us! I appreciate it. 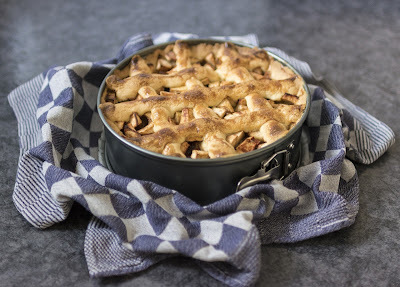 Apple Pie for everyone! Because I ate all the chocolate! Rachel is a stay at home mom who LOVES to read. She enjoys good (clean) books of all kinds. However, she has a soft spot for historical fiction. There is something magical that can only be found between the covers a book and her desire is to share that piece of magic with you. 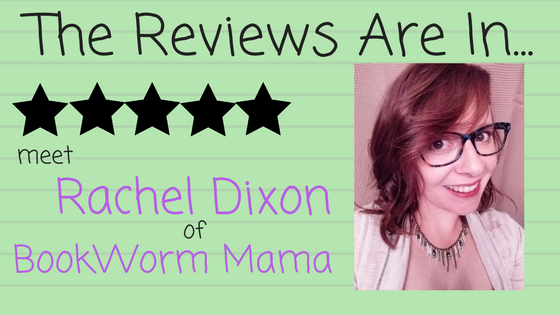 Rachel has been reviewing books since 2014 and is the sole owner/operator of Bookworm Mama. And she simply adores being immersed in the bookish world. Her husband and 2 beautiful children are her life and joy. Among the 500 things she does a day, she still finds the time to read. Rachel was selected as a Judge for the INSPY Awards 2017 as well as The Christy Awards 2017. Rachel currently works for Pepper D. Basham as her Virtual Assistant. Where the magic happens. This is Rachel's reading nook, lovingly crafted by her hubby! Thank you all for stopping in. Don't forget to check out the other Blogger Interviews! It's been a pleasure to learn more about Rachel. I met her on my way out the door at CFRR, but with such a busy day, we didn't have much time to chat and I regret that. #nextTime! I appreciate your heart for promoting Christian fiction and all your support of authors! *Waving* Hi Rachel & Debra! Rachel, I've not yet heard of "Walking with the Enemy" I'm going to have to look for it. Sounds like something I'd enjoy also. Thanks Trisha! I hadn't heard of the show, either. Glad for the 'heads up'! Debra, I love getting to know the bloggers and bookish people you interview. I was lucky enough to spend a little bit of time with Rachel after CFRR. She is a sweetheart! Hi Andrea! Thanks. I'm really enjoying this feature. Much more fun to do than trying to come up with new things to blog about. I have quite a few people I hope to host! YAY for my little mama friend!!! I love this lady! Thanks for the apple pie, Debra! My favorite!!! Awww y'all are so sweet! Can I just hug you??? I am so glad I was able to attend CFRR and visit with y'all today! Thank you Debra for having me!!! I know. CFRR was a treat. I didn't miss ACFW so much this year because I'd decided to go to Cincinnati instead and hang out with bloggers as well as authors! Rachel, you were a deeelightful guest! Hey Katie! thanks for stopping in. Happy SPRING! Fantastic post, Debra and Rachel! It was such fun meeting both of you at CFRR last month. Two amazing Ladies! Hugs to you both! Thanks Winnie. Yes it was a lot of fun. Winnie and I got along like good buddies and we had these bright young things around us. What a wonderful couple of days! Rachel is a doll! Hi Rachel and Debra! I am super late to the party but wanted to say hi to you both. Wonderful interview! Great interview, Rachel and Deb. So interesting to read the joys and frustrations of someone who reads on demand. Thank you, ladies. Thanks for peeking in Susie, DeAnna and Anita! 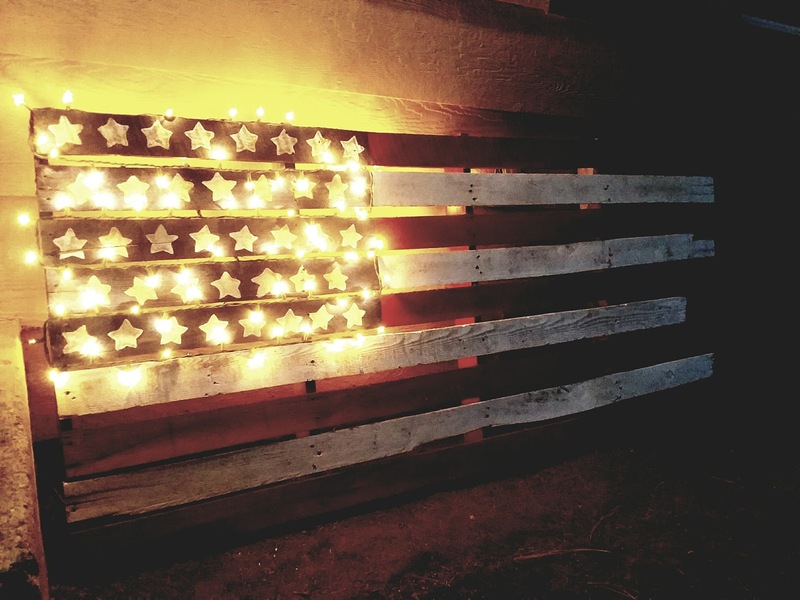 Your flag is great, but I adore your reading nook. 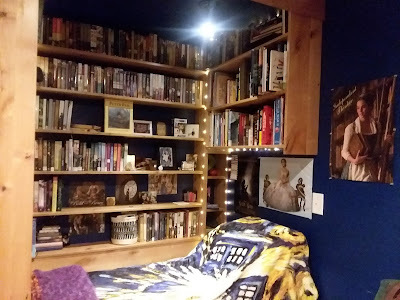 Someday, when my kids are grown, I'm turning one of their bedrooms into a library! :D I can totally relate to the binge-reading struggle. Since I started reviewing I've acquired a backlog of previously published books by my favorite authors that I somehow missed when they came out, which I want to read, but rarely find a spare moment to squeeze them in. In fact, I'm posting next Monday about a new tactic I'm trying which I hope will help me with that. We will see.